In northern Norway, at the western side of the Ryggefjord fjord, lies a fish farm with two large open-net pens floating 200 meters above the seafloor. Run by salmon farming juggernaut Cermaq, the operation has been churning out Atlantic salmon since 1999. But times may be changing for what has been a profitable business. When the September die-off hit, ecologist Claudia Halsband, from a private research firm, hurried to the fjord and spent a week sampling the waters. Halsband and a team of scientists had spent the summer in Ryggefjord, working the case of those earlier mass mortalities, though without much luck. But when she returned two months later, Halsband finally found something out of the ordinary. Lurking in the water, Halsband discovered that a jellyfish, Dipleurosoma typicum, was blooming along the coast. The jellyfish is often found in the North Atlantic, but this was the first observation in Norwegian waters. 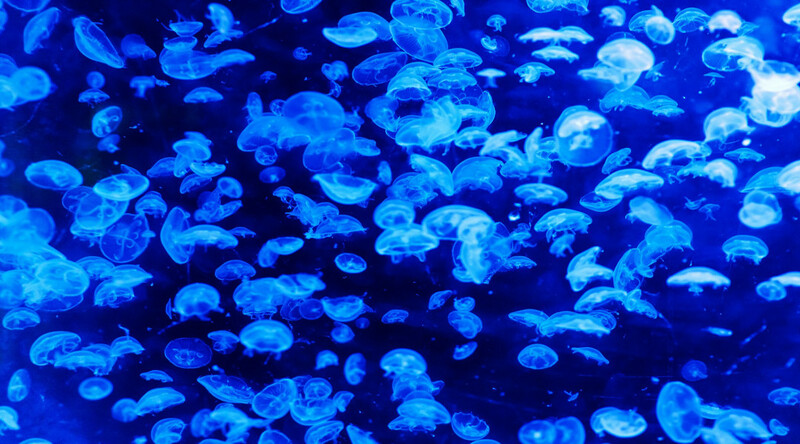 Cermaq veterinarians had originally floated the idea that jellyfish were behind the deaths given the water’s cloudy appearance when the deaths occurred, but until now they hadn’t been able to show that the jellyfish were actually harming the fish. Closer inspection of these jellyfish showed that they—unlike the jellyfish species observed in the region in the summer—were indeed hurting the salmon. These jellyfish were likely wounding the salmon with their stingers, causing lesions that potentially increased the spread of tenacibaculosis, a common bacterial disease in fish farms. Despite the lack of earlier evidence, these jellyfish were likely also the culprits behind the die-offs in 2012 and 2014. In the past decade, destructive and costly blooms of other jellyfish species have hit salmon farms in Ireland, Scotland, and northern Norway. In many cases, these blooms clogged fish nets or pens, or suffocated fish. To put it succinctly, “jellies and salmon are not a good mix,” says Halsband.